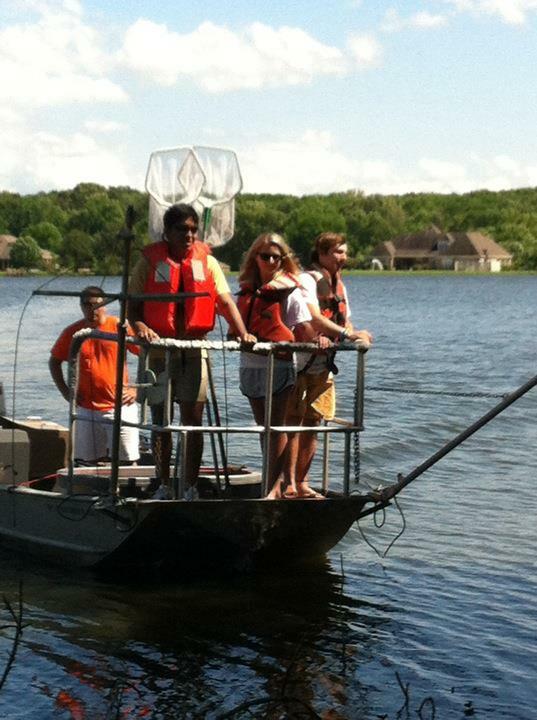 I’m taking a class on freshwater biology and for lab on Thursday, we went electro-fishing. We all loaded up into the Millsaps Field Research van and drove out about 45 minutes to somewhere between Madison and Gluckstadt, MS with our fearless professor in the driver’s seat. We got to a large private pond where we met with some of our professor’s friends that work for the Mississippi Dept. of Environmental Quality and who, conveniently, have an electro-fishing boat for us to use. So we split into groups of three and each took turns standing at the front of the boat with long nets. Electro-fishing works by putting long electrodes into the water and pumping 1000 volts of DC current into the water. It stuns the fish but doesn’t kill them, so they float up to the surface. Of course, there are certain conditions that determine how effective the method is, but I won’t get into that. Me. 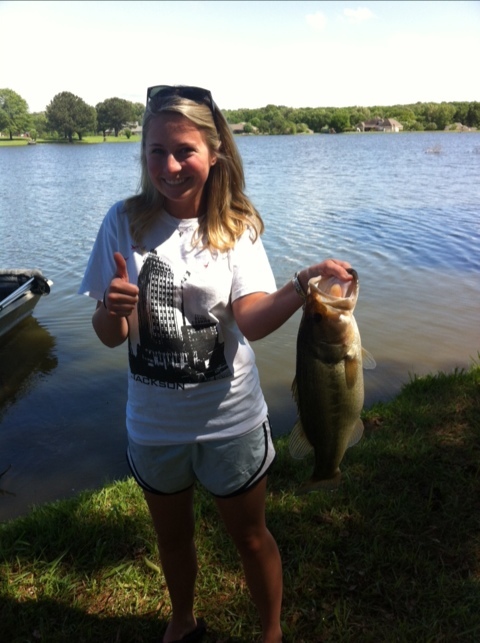 With a 4.5 pounder. It was absolutely the best lab ever.